Mothers influence the development, phenotype and success of their offspring. In mammals, mothers provide the main physical, physiological and social environment for their offspring during development; they nurse them from conception to weaning, expose them to hormones, and help them build up their immune system. In many species, mothers additionally provide extensive care and behavioural support and teach their offspring key behaviours. This early-life maternal environment can have pronounced effects on the offspring’s growth, behaviour and survival. 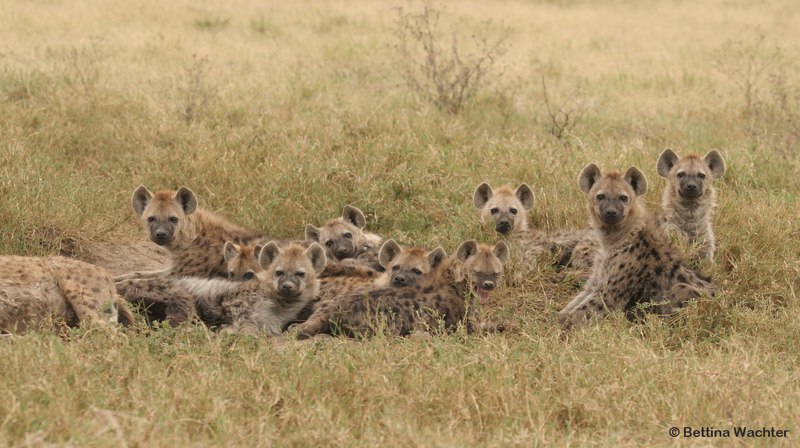 In spotted hyenas and many other species, a high social rank is highly beneficial. Spotted hyenas live in matrilineal societies with a strict linear dominance hierarchy. Each clan is led by the matriline of the ‘alpha female’, followed by the matrilines of the other females. High-ranking mothers have preferential access to food and other resources such as resting places and den holes. As a result, they are better nourished, supply their offspring with more milk, rear offspring at shorter intervals and rear a higher total number of offspring than low-ranking mothers. The social rank of mothers has strong effects on the growth and survival of daughters. In spotted hyenas, daughters of high-ranking mothers grow faster and survive better to adulthood than daughters of lower-ranking females. Daughters of high-ranking mothers benefit from a ‘silver spoon’ effect. The maternal environment also has long-lasting effects. In spotted hyenas, daughters (and sons) acquire the social rank just below that of their mother. As a result, daughters of high-ranking mothers live a similarly privileged, successful and long life as their mothers; they produce their first litter at a younger age, rear cubs at shorter intervals and rear a higher total number of offspring than daughters of low-ranking mothers. Does a mother’s social rank influence the success of her sons? There is currently limited information about whether high-born sons also benefit from silver spoon effects. This is mainly due to the fact that, in many mammalian species, most males leave their birth group to reproduce in another group. Reliable data on the survival and reproductive success of these dispersing males are difficult to obtain. 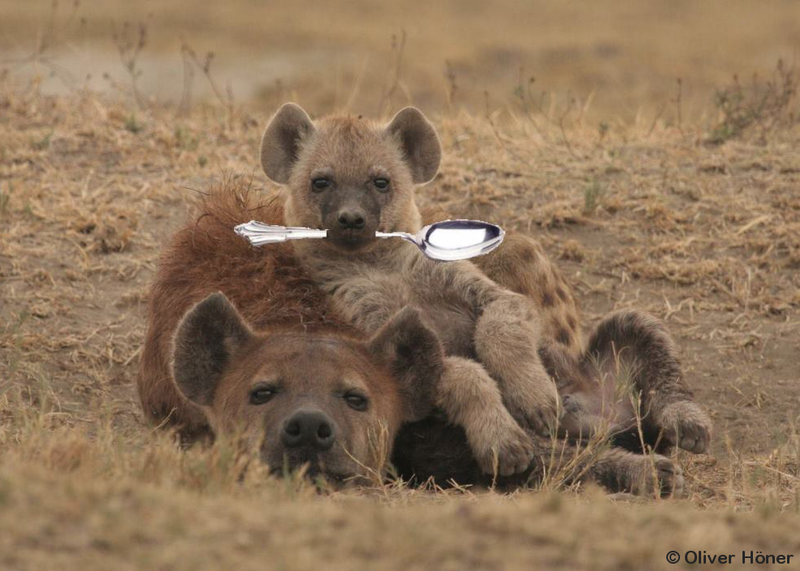 The complete and long-term monitoring of the hyena population in the Ngorongoro Crater offered us the rare opportunity to test whether sons also benefit from silver spoon effects. In our population, most young males disperse when they are about 3.5 years old and join another Crater clan. The reproductive success of males in their new clan is strongly influenced by the number of young females in the clan — the higher the number of young females when males decide to start their reproductive career, the higher their future reproductive success. High-born males are the most successful dispersers. Sons of high-ranking mothers are better at assessing their reproductive prospects in clans and joining the best clan than their lower-born competitors: they preferably immigrate into the clan with the highest number of young females while sons of lower-ranking mothers show no preference in their clan choice with respect to the number of young females. As a result, sons of high-ranking mothers start to reproduce earlier and father more cubs than sons of lower-ranking mothers. Therefore, high-born sons are not only more privileged during adolescence but also more successful later in their life than low-born sons.